Saunders and Rooney, P.C. 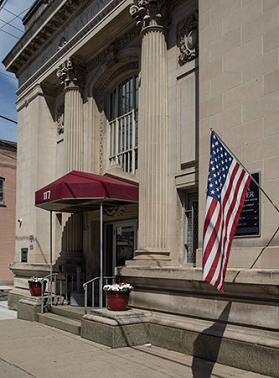 (S&R) is a law firm serving clients throughout the Commonwealth of Pennsylvania and nationwide. S&R is headquartered in Plymouth, Pennsylvania, in close proximity to both the New York and Philadelphia metropolitan areas. S&R represents a diverse clientele including individuals, large and small businesses, healthcare professionals, and other entrepreneurial based organizations. S&R has a long history of providing quality services to our clients at affordable and appropriate fees. S&R concentrates the majority of its practice on real estate law specialties and wills and estate administration. S&R recognizes the multi-faceted needs of its clients and is fully committed to providing tailored representation to suit your case and obtain optimal results.